Selling your home can be stressful, even when everything goes well. You may have done everything you thought you were supposed to do. You listed your home with a Realtor®. It has been professionally staged and you have had several potential buyers visiting your home. But, you haven’t received any offers. Now, your real estate agent tells you that buyers are being turned off by bad neighbors. It may be a neighbor who wanted to buy your house on the cheap. Now they are offended because you didn’t give them a neighborly discount. It may be a relative who was written out of the will and now holds a grudge. Or, it could simply be bad blood between the neighbors and you have never been able to make peace. Sadly, these scenarios are not uncommon and can impact the sale of your home. Knowing how to deal with bad neighbors can make the difference between selling your home for full price or losing money on the sale of your home. Below are common neighbor issues and possible ways to deal with bad neighbors. Which bad neighbor do you have? A real estate broker recently told me about a house he had listed. The house was in great shape, had been recently remodeled and was professionally staged. However, the neighbor’s house was causing his buyers to walk away. There were several junk cars and tires in the neighbors driveway, that often encroached onto the property he had listed for sale. He had lots of showings, but had not received any offers. In the end, he had to lower the price of the home $40,000 below the appraised price in order to sell it. 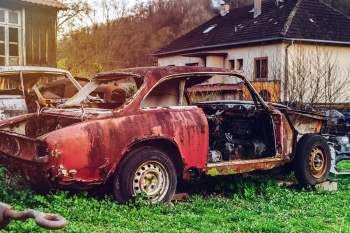 Neighbors with junk cars on jacks, old tires laying around and piles of junk everywhere can prevent the sale of your home. All of these are unsightly and cause potential buyers to look elsewhere. You may have tried talking to the neighbor, but often these scenarios cannot be solved with a conversation. Some people just don’t take care of their property. If your neighborhood has CCRs, Code Enforcement or Neighborhood Watch types of programs, you may want to consider reaching out to them to address the problem. Years ago I lived in a community where cars were not allowed to be left parked in the same spot for more than 30 days. If your car was found to be inoperable, a local code enforcement officer would stop by your home and speak with you. These types of programs work better if speaks to the person as soon as the problem occurs. If the problem has existed for several months or years, it will be harder to approach the neighbor. Some neighbor problems aren’t so visible. Like when there is bad blood between you and the neighbor. We’ve probably all had issues with a neighbor at one point of time in our life. I had a neighbor threaten to sue me if I put up a fence between her property and mine, without having it surveyed first. I had never even talked about a fence with her, or done anything to indicate that I might put up a fence. Still, she issued the threat of a lawsuit. Later other neighbors told me that she was nasty to all of the neighbors. If you have neighbors who are difficult to get along with, it may be wise to disclose this to potential buyers. We bought a home years ago where the neighbor had done some minor grading changes in their backyard. The grading change caused water to flow into our seller’s yard. The seller, sued the neighbor to have the problem corrected, and now there was bad blood between them. Our sellers let us know what had happened and that there was tension with the neighbor. Once the previous owners moved out, we didn’t have any problems with the neighbor. Drug and criminal activity can also be something that turns potential buyers away. Years ago I owned a house where there were two major ways to drive into the subdivision. One way was driving through your typical middle class neighborhood. The other way, you had to drive by a house where day and night, there was someone sitting in a chair outside the house. They weren’t outside to say hello to the neighbors. They were lookouts in case the cops showed up! If your neighbor has lots of police activity, your best best is to just keep calling the police every time there’s an issue. Hopefully your neighbor decides to move rather than deal with the constant police presence. If the house next door is a rental, you might have the police contact the landlord to see about evicting their tenants. It’s sad, but you have to admit, there’s a bit of irony in the story. The question is, what can you do to draw lots of attention to the problem so the bad neighbor wants to move? I loved the television series, “Home Improvement” with Tim Allen. He always had this nosy neighbor, Wilson poking his head over the fence. There was this running gag through the entire series where you never saw Wilson’s face until the final episode. 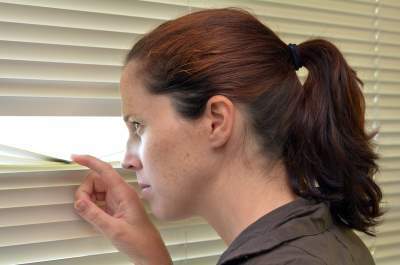 Nosy neighbors may not be as humorous or good nature as as Tim Taylor’s. Some neighbors seem to conveniently show up whenever a Realtor® brings by prospective clients. These nosy neighbors may be sabotaging your sale by sharing all of the negative things they can about the neighborhood or the property. Your neighbor may be jealous that you didn’t sell the house to him, for his low ball offer price. Or, there may be bad blood between you. The best approach is let your Realtor® communicate with the neighbor. They can explain that it’s best if the neighbor lets you sell your home without interference. Your agent should be able to explain that it will help your neighbor’s home value if you can sell your home for the highest price. Then afterwards, you can both move on with your lives. If the problem persists after your agent speaks to the neighbor, you may also want to speak with an attorney. A good attorney can write a firm and persuasive letter to your neighbor encouraging them not to interfere with the sale of your home. If neither of these solutions work, you may just need to drop your price, in order to move on with life. We can all be a little loud at times. I remember a neighbor who lived several houses down the street telling me once, that they knew when the San Francisco 49ers were playing at my house. Of course, if you’re selling your home because of the noisy neighbor, you’ve probably already had several conversations with them. Years ago I was renting a home when my landlord sued the next door neighbor over a fence repair. As a result, the neighbor and I had a strained relationship. I had also recently gotten new a dog that incessantly barked whenever I wasn’t at home. Since I was not home, I wasn’t aware of the problem. One day the neighbor talked to me in a very non confrontational manner about the dog. 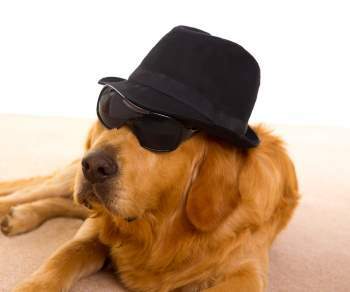 He said, “I have a neighbor who’s dog is always barking during the day when they’re not home and I’m not sure what I can do to solve it.” I understood right away that he was referring to my dog. He wasn’t confrontational and I wasn’t offended. As a result, I gave the dog to someone else who would be home with the dog more. Remember my neighbor who bullied me with a lawsuit over a non existent fence? Some neighbors can just be bullies. When they don’t get their way, they just threaten you with lawsuits. Whether they ever file a lawsuit is besides the point. When neighbors threaten with lawsuits, whether it be over fences, drainage issues, road right aways, or something else, you are required to disclose this to potential buyers. If you are being threatened or are in current litigation, you should speak to your attorney regarding what you should and can disclose. Unfortunately, this can be very subjective and what is important to a buyer may not have even crossed your mind. If you have a potential neighbor problem, it is in your best interest to speak with your attorney. They can advise you about what you may need to disclose. It may cost you a few hundred dollars. However, it could save you thousands if the buyer comes back to sue you for not disclosing something. If you have a house with a bad neighbor, here’s some suggestions for selling your house. It’s always cheaper to have a non confrontation conversation to solve problems. Most people want to be friendly and have good intentions, even if their actions aren’t always great. Deescalating a conflict with a non confrontational approach, is always the best and cheapest solution. It may simply take an apology for a perceived offense to make things right with your neighbor. If you’re too close to the situation to be calm, consider having your spouse or a mutual friend speak to your neighbor. You can also ask your Realtor® to speak with them. Your agent has a motivating desire to earn a commission. If they cannot sell your home because of a neighbor conflict, they don’t get paid. However, not all agents are good at handling conflicts. If this is the case, you may need a different Realtor®. I’ve already mentioned that there may be times when speaking with an attorney may be needed. A good attorney can draft a non confrontational letter to the neighbor to encourage their cooperation. But again, this should only be done as a last resort. Bear in mind that attorneys come in different flavors. Some are very confrontational, while others are more conciliatory and look for friendly solutions. If you choose the aggressive, confrontational attorney, it will likely just cost you more money than the amicable attorney. Not every buyer is going to have a conflict with your neighbor. Cash buyers often buy homes where there is tension between the current owner and their neighbors. Cash buyers can help you sell your home discreetly without your needing to put up signs in the yard advertising that you are selling. When this happens, the new buyer comes in without having the baggage of a previous relationship with a difficult neighbor. Experienced cash buyers are used to dealing with difficult neighbors. 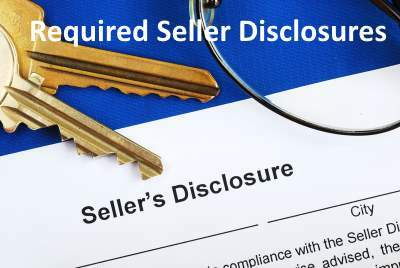 However, even with cash buyers, you still are required to disclose any potential issues with neighbors or lawsuits. But an experienced cash buyer will not typically let this change their interest in your home.